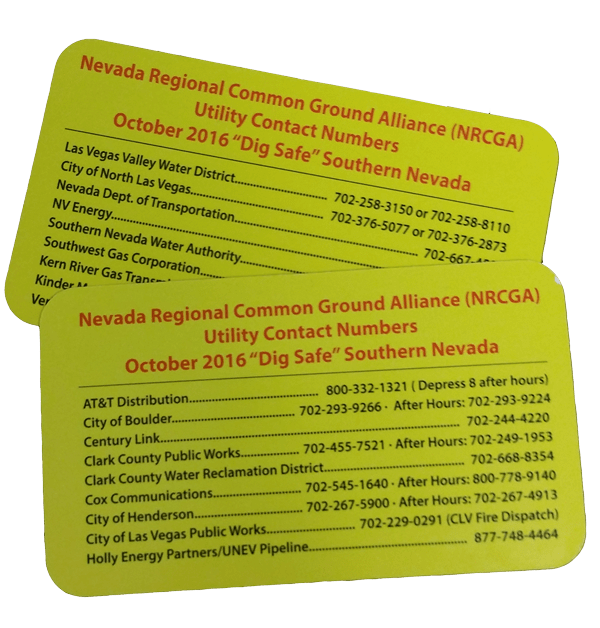 The NRCGA worked with its members to create utility contact cards to assist excavators who may need to contact a utility while in the field. The cards are wallet size. Two versions are available: one with Northern Nevada utility contact information and one with Southern Nevada utility contact information.